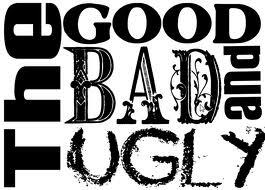 The Good, the Bad, and the . . .
As many of you know, I like to talk a little 🙂 I also like to write a little 🙂 AND I like to take part in discussions about many things, including wine every now and then. I am active on wine bulletin boards and love the interactions that take place, and it gives me plenty of ‘food for fodder’ for blog posts, etc. There is currently a somewhat heated discussion occurring involving a rather pricey Napa Cab that has been fun to watch – and take part in. This particular cab is produced by a well-established Napa winery that has a reputation for well-made wines, and has had that reputation for quite some time. In fact, this particular cab was made in honor of their 40th Anniversary as a winery. That’s a long time to be making wines – and keeping the doors open for ANY business. So what’s the ‘issue’ here? Well . . . . This cab happens to be made in a very ‘new world’ style. It’s rich, unctuous, and speaks little of ‘old world cabs’ that the winery was known for in the past. Some might find it difficult to even determine what variety the wine is – something I personally have a problem with but others apparently do not. I don’t hold it against the wine or the winery – it’s the way they wanted to make this particular wine. And even though it’s ‘sweet’ to me, others have found it unbelievably drinkable – even at the retail price of nearly $60. Side story – a very well-known winemaker once poured me a glass of wine and asked what I thought. I told him that it was an interesting wine but couldn’t tell what variety it was. ( It turned out to be a Grenache, my favorite variety, from a very sought after new world trophy winery.). His comment to me, which still rings in my ears years later – ‘when a wine is perfect, it transcends the variety.’ Yeah, right – BS!!! So who has the ‘right’ to say whether this is a ‘good’ or ‘bad’ wine? Who has the right to tell you, me, or anyone else that they are ‘crazy’ or ‘wrong’ for enjoying a wine such as this one? I’m curious to hear your thoughts on this . . .
Who Doesn’t Like an Underdog? If I were to take a poll of folks and ask what variety of wine immediately comes to their mind first when I say ‘popular wines’, my guess is that this list would include Cabernet Sauvignon, Chardonnay, Merlot, Pinot Noir, perhaps Pinot Grigio, and maybe a few more. One group of wines that you would rarely see as part of these lists would be Rhone varieties such as Syrah, Mourvedre, Grenache Blanc, Roussanne, and the like. Yep, Rhone varieties are certainly ‘underdogs’ in the wine world these days. While most folks have heard of ‘Bordeaux’ varieties or ‘Burgundian’ varieties, one would get a lot of head scratching if asking folks to name ‘rhone’ varieties. That said, Rhone varieties make some pretty darned impressive wines if I must say so myself! Each of the 22 different varieties that encompass this collection – and no, there will NOT be a test on this afterwards – brings something different to the table. And many of the varieties, such as Syrah and Grenache, can exhibit themselves quite differently depending upon the soil and climate in which they are grown. The first step in understanding these varieties from a domestic standpoint is to head over the Rhone Rangers website. This group, of which I am a winery member and a Board Member ta boot, is comprised of about 125 wineries located throughout the US who focus on Rhone varieties grown domestically. 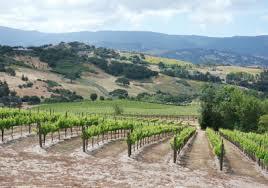 Though the focus is on California, there are member wineries from Oregon, Washington, Idaho, Michigan and even Virginia. As the organization strives itself on educating the public, spend some time perusing it and check out the information about the different varieties that comprise the Rhone spectrum. You’ll discover that Mourvedre, for instance, is called Monastrell or Mataro in Spain, where it was believed to originate from. And that Petite Sirah, which is a cross between Syrah and Peloursin, is not really grown in the Rhone at all. To further your education, you may also choose to attend the Rhone Rangers Grand Tasting, which takes place this Sunday at the Craneway Pavilion in Richmond, CA. Discount tickets for the event, as well as the seminars (I’ll be taking part in the Grenache one, by the way), are available – use code GT-20 for a 20% discount on the Grand Tastings tickets for Sunday, and SUNPASS-20 to receive $20 off an all – Sunday ticket that includes the seminars. I do hope to discuss these varieties more in the future, and hopefully meet some of you this weekend – I’ll be the guy on crutches (long story – will leave that for another blog post!). In this case, Cameron Porter has done a fabulous job highlighting the Larner Vineyard, truly a crown jewel among Santa Barbara County vineyards. Chalk Art – the Mineral-Rich Wines of Larner Vineyard, is the blog post, and it is a great read! This particular vineyard sits on the southern end of the new Ballard Canyon AVA, below other well known vineyard in the area including Stolpman, Beckmen’s Purisima Mountain, Jonata, Windmill Ranch and Tierra Alta. It’s chalky soils provide wines that are truly unique in their flavor profiles – well, at least to me they are! Cameron does a wonderful job laying out what makes this vineyard unique among its peers – the climate, the soils, the careful understanding of the geology by Michael Larner, a former geologist who decided to go back to school to study viticulture and enology (and whom I am proud to call a former classmate – and a friend!). For those of you attending the Garagiste Festival this coming weekend, you’ll get to know the area even more as Michael Larner, Mikael Sigouin from Kaena, and I share our wines from the region to compare and contrast them. And many of the producers from the area will be pouring at the upcoming Rhone Rangers event in the San Francisco Bay area the weekend of April 6. (In fact, I’ll be pouring my 09 Larner Grenache at a seminar focusing solely on that variety!!!). And there will be more – including discussions about the AVA at this summer’s Wine Bloggers Conference taking place here in Santa Barbara County. That said, it’s best to explore the AVA by either coming up or down here and driving it – or much better yet, by trying a sampling of the wines from the region. I don’t think you’ll be disappointed! All About Grenache . . .
As many of you know, I am quite passionate about rhone varieties in general. I believe there is more ‘variety’ in these varieties than in most others, and they tend to be ‘underdogs’ in today’s wine market, something I can appreciate as I’ve always been a fan of ‘the underdog’. 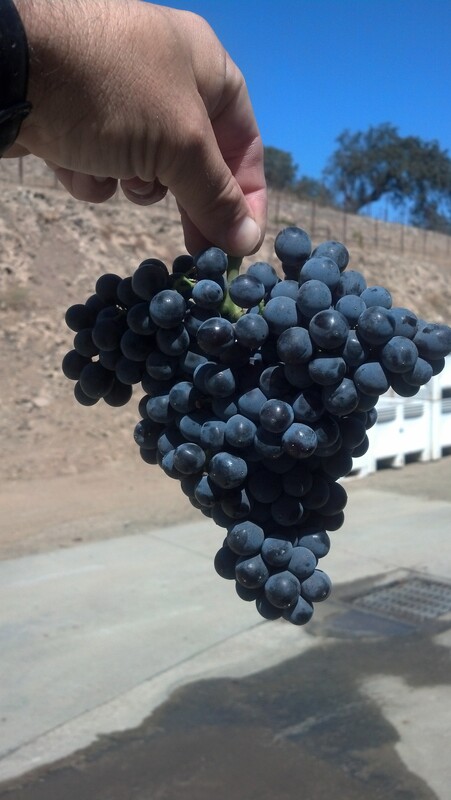 The Connoisseurs’ Guide to California Wines recently posted a blog post about Grenache entitled ‘Next Big Thing or Another Passing Fancy’ and I was intrigued by the thoughts put forth by Stephen Eliot, the author. He expressed his love for the variety, but his ‘frustration’ on not seeing it get more enthusiastic support from the public. Read his post here. He ponders whether this lack of support is due to the fact that the wine is currently made in so many different styles that consumers can’t ‘understand’ it easily. Or whether it is because it tends to be a blending grape and rarely stands on its own. Finally, he wonders out loud whether or not Grenache ‘is a varietal capable of real greatness, of complexity and depth that will rival that of the best Cabernets, Pinot Noirs and Syrahs . . .’. Most consumers have not been exposed to the variety on its own often enough, and therefore more exposure and education has to occur. Go to a Rhone Rangers event and taste these wines – in fact, there will be a seminar devoted to the variety at the next event in early April. Many ‘grenaches’ out there tend to be blends, even those labeled as ‘grenache. When winemakers blend syrah or other varieties into Grenache to ‘give it more structure’ or ‘to add the color missing in the variety’, they, to me, mask the underlying beauty the variety brings forth. Why is it okay to do this with Grenache but NOT okay to do this with pinot noir? Many domestic Grenache producers are starting to price themselves out of the market for these wines, even before there is much of a market. Pricing needs to be kept at reasonable levels for consumers to be willing to give them a shot. Winemakers, in my opinion, need to take a more ‘hands off’ approach to ‘tweaking’ these wines. Lay off the new oak, which will oftentimes cover up what the variety brings to the table rather than ‘adding’ to it. Understand that these wines will tend to be a bit higher in alcohol than other varieties because their skins are incredibly tough and bitter and you have to have the patience to wait to pick until the skins soften. I would love to hear your thoughts on domestic grenaches and what might be done to shine more light on the variety and expose it to more folks.